When it comes to perfumes I'll raise my hand and agree that I'm quite picky. I don't like anything too strong but I do like scents that linger for hours and don't fade after an hour. I tend to go for fresh,sweet,floral scents when it comes to perfumes and don't really stray away to different kind of scents. The So...? 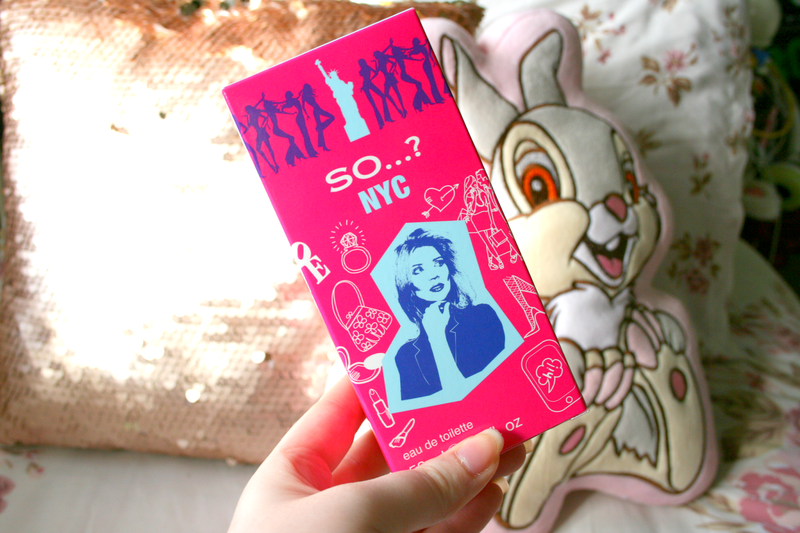 NYC* perfume has been my go to perfume over this past month. Consisting of a sweet, floral scent I cannot get enough of it. Firstly how gorgeous is the packaging? That's something So...? never disappoint with is their absolutely gorgeous packaging. They are also super affordable which is amazing especially for when you may be on a budget. This scent consisting of peach, violet, orange flower, jasmine and rose with a few more extras trust me when I say you need to go find it immediately and give it a sniff because it is just so gorgeous. I also find that it lasts quite a few hours, I sprayed it at 10am the other day and when I got into bed at midnight I could still smell it on my wrist. They have four different scents in this range, all inspired by different countries such as NYC, Paris and more! You can get your hands on these beauties in Boots stores for €14.75 but they currently have them on offer for just €7.37! Since receiving this it has been a staple in my handbag (see what else is in my bag here) and I am truly in love with the scent. I can definitely see myself having to buy the other three from the range to treat myself very soon. Have you tried any of the So...? fragrances? beauty . fragrance . perfume . review . so...? This sounds great! 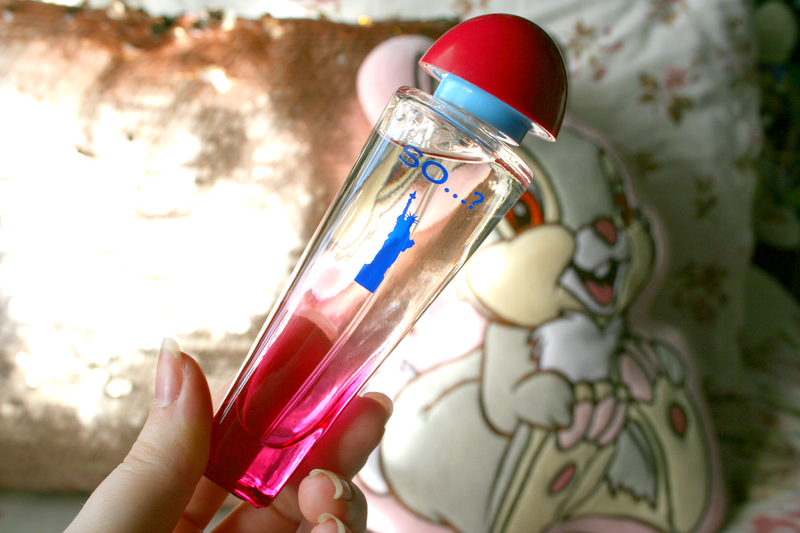 I love perfumes that have a scent which lasts a long time! I'm the same way ;) I won't buy a scent unless I'm absolutely in love with it. I made the mistake of buying a scent that I was 'ok' and I've found that I hardly ever reach for it. I've never made the same mistake since!